S.P.U.R. 's Riverside trail is over 1 mile of primitive hiking trail located between North 12th and North 24th Street. 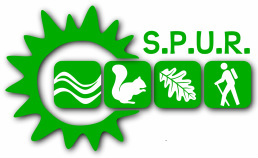 Working with the City of Richmond, S.P.U.R. recently obtained a $200,000 grant to pave the trail and extend it to Freeman Park. We are currently trying to acquired land to extend the trail east to Hayes Arboretuem & the Ohio border and north to Reid Hospital and the IU East & Ivy Tech campuses. S.P.U.R. is currently working on a project to educate the citizens of Richmond about our recycling program. We are also partnering with the Wayne County Board of Health to promote proper sharps disposal. In 2010, S.P.U.R. 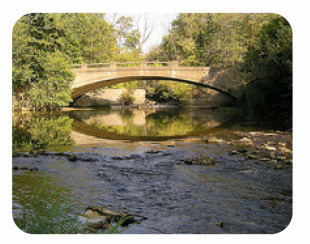 sponsored the creation of the Fossil Park in Richmond's Bicentennial Park along Bridge Avenue. The Fossil Park consists of an informative display about Wayne County's rich fossil resources and piles of rubble transported from the State Route 27 road cut. The Park provides visitors a safe place to collect 440-million year old fossils and learn more about the history of eastern Indiana. If you missed a meeting or just want to learn more about what S.P.U.R. is doing, please read the minutes from our board meetings.